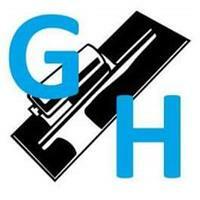 GH Plastering & Rendering - Plasterer based in Nuneaton, Warwickshire. GH Plastering and Rendering has 20 years' experience in the plastering trade - from small domestic works to commercial projects, all around the midlands. All internal plastering work undertaken. From patching repairs to full restoration. False walls built, Artex covered and internal wall insulation. Level 2 qualified external wall insulation installer and render finishing from coloured silicone finish to pebble dash. Depending on your requirements we have various external rendering solutions which eliminate water ingress and modernise the appearance of your property. All our render systems have reinforcing mesh in the basecoat which prevents cracks appearing over time. We offer a 12 year insurance backed guarantee with our external wall insulation. Our silicone render finishes are highly waterproof and never need repainting. Contact us for a colour chart, our suppliers can mix a vast range of colours. Don't hesitate to contact us for a free quote and friendly advice. Atherstone, Bedworth, Birmingham, Coalville, Coleshill, Coventry, Derby, Hinckley, Kenilworth, Leamington, Leicester, Lichfield, Nuneaton, Staffordshire, Stratford, Tamworth, Warwickshire.